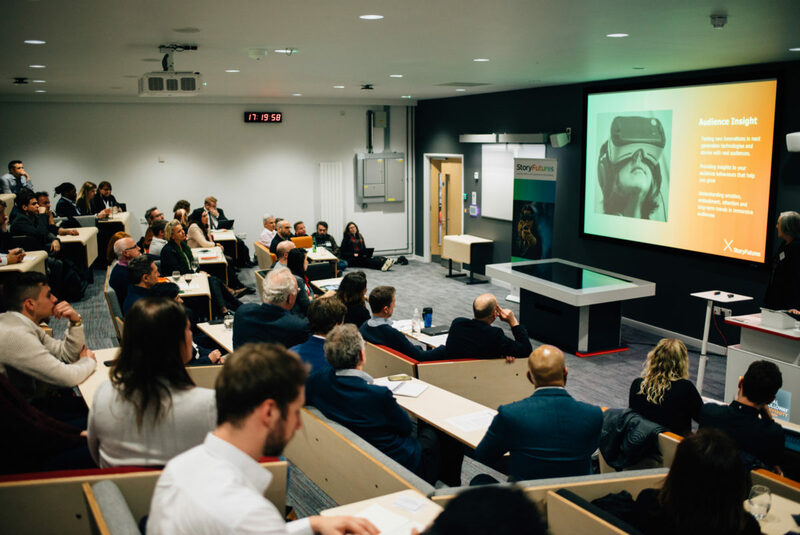 StoryFutures Creative Cluster creates and helps fund R&D projects with creative businesses in the 'Gateway Cluster region' immediately to London's west. StoryFutures Academy delivers cutting edge training in immersive technology and immersive storytelling for the traditional screen industries nationwide. Our Audience Insight team brings together research strengths in the humanities and sciences to develop rich understandings of audience responses to immersive story experiences. Our team spans media arts, psychology, neuroscience, electronic engineering, media and management, allowing us to draw on a wide range of research methods and approaches. Using diverse techniques such as media diaries, one-to-one interviews, focus groups, surveys, netnography, eye tracking and physiological recordings, we provide a multi-level perspective on audience attitudes and responses, spanning technical, human and societal factors. Audience Insight R&D can be accessed via both StoryLab commissions and our R&D On Demand programme. StoryFutures audience insight team can help test products and projects in development, agreeing bespoke testing measures and objectives. It draws on rich data sets that understand long-term trends and audience behaviours in immersive and AI-driven story experiences. Location: Address where work will be carried out must be based in the Gateway Cluster (see map). If applying as a collaboration, at least one company must be based in the Gateway Cluster. R&D Collaboration: Subject to commercial sensititivities, companies must agree to anonymised research publication of results. Contribution: Companies must provide an equivalent in-kind resource (e.g. staff time, facilities, hardware) to access StoryFutures' researcher time.